So you ran out and got yourself the new SHIELD TV. And in between streaming 4K content and enjoying our ever-growing library of games, you want to make your SHIELD the most extreme streamer available. Well, we live and bleed SHIELD every day. 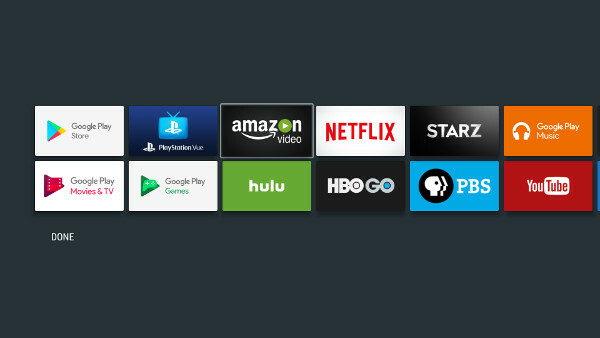 So, we decided to put together a primer on how to get the most out of your SHIELD TV. Of course, if you have yet to join the SHIELD bandwagon, then what’s stopping you?! Get your new SHIELD TV today! 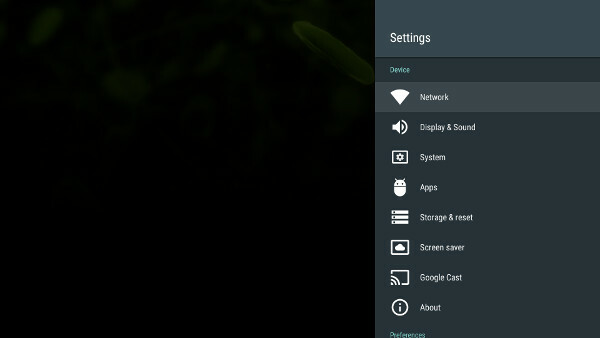 You can easily rearrange the apps as they appear on your SHIELD’s home screen. Just long-press on one of the app icons and the above screen appears. Once here, select an app to move it to where you want it. When the app is in your preferred location, hit the select button again. Once you’re done rearranging the apps, simply choose “Done” and you’re good to go. You can also customize the Recommendation row. These are the apps that show up at the top of the home screen. Simply put, you can control which apps show up. Not interested in YouTube recommendations? You can easily disable it from showing up. To do this go to Settings and scroll down to Home screen. From there choose Recommendations row. Once there you’ll be presented with a list of your installed apps. Simple toggle them on / off to remove or add them to the Recommendations row. You can get to the Quick App Switcher by double-tapping the Home button. Once you open the Quick App Switcher (see above) you can easily open up one of your more frequently used apps or close the app. The best way to increase storage on your SHIELD is with either a USB 3.0 drive or external hard drive. Getting set up is simple. 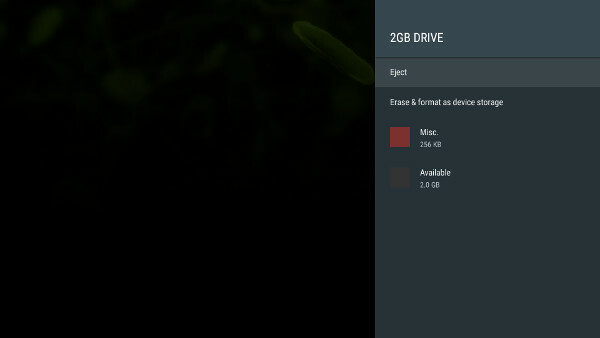 Insert a USB 3.0 drive or external hard drive and select ‘Setup as internal storage’ to format the storage device. Then, choose ‘Move now’ to complete the setup. 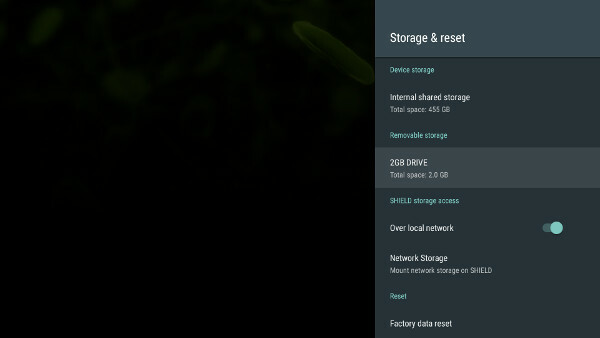 (This step is necessary in order to set the new storage as internal storage. It will move data files from internal storage to your new storage device.) If you’re ready to upgrade your storage, check out one of these recommended USB storage devices. Your SHIELD controller comes with a ton of incredible features. An internal microphone for voice search and voice commands. A 3.5 mm headset jack that supports stereo audio, plus chat. A 60+-hour rechargeable battery with a micro-USB port and USB cable for charging. 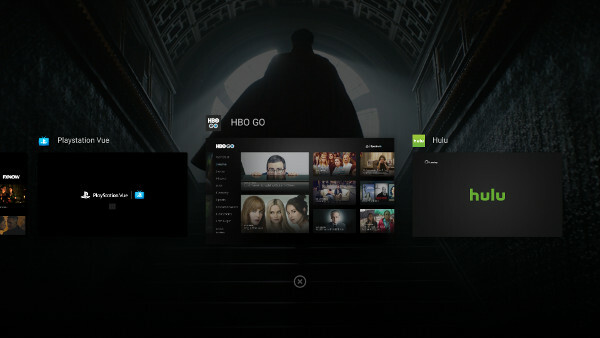 The SHIELD controller works with both SHIELD TV as well as the SHIELD tablet. Plus, it works with Windows-based PCs when connected with the included USB cable. You’ll need a SHIELD in order to update the controller’s firmware to take advantage of this feature. The best way to set up your AV system (whether it’s a Soundbar or Receiver) is using the HDMI CEC settings. By configuring the HDMI CEC settings on your SHIELD, you can use the SHIELD controller and remote to control much of your TV or AV system. You can also use your AV or universal remote to control certain functions on your SHIELD. 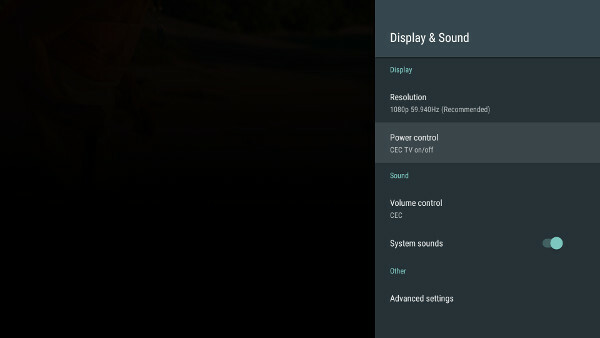 Go to Settings, then Display & Sound, and there you’ll see Power control (CEC TV on / off) as well as Volume control (CEC). You’ll want to turn both of these features on. Head over to Settings and go to Display & sound. Once there select Power or Volume control. Next select Setup IR for TV and you’ll be walked through the necessary steps. 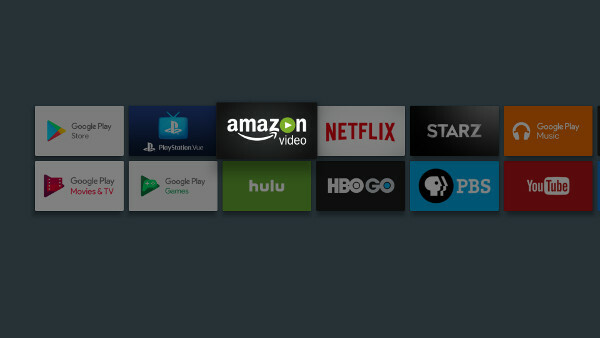 This process will let you know if your TV, soundbar, or AV receiver supports this feature. You’ll have to repeat the above steps for each device you’re setting up. Harmony Hub-based Logitech remotes can now control your SHIELD TV over Bluetooth. This is a huge improvement over the original implementation which used IR and required a direct line of sight between the hub and your SHIELD. With bluetooth, your SHIELD or Harmony Hub can now be tucked away in your media cabinet without worrying about your connection. As an added bonus, you’ll find the controls more responsive and snappier than with IR. Follow this link to get started. If you’re playing music or movies and you want to pause, you can double-tap the volume slider to pause. When you’re ready to start back up again, just double-tapthe volume slider again. This is a handy trick if you’re playing music in the background using Spotify or Google Play movies, and you want to pause the music without opening the app. Long-press the Home button and you’re presented with a new screen that contains the three options Record, Broadcast, and Screenshot (see above). Screenshot captures whatever you were viewing when you opened the utility. Record lets you capture your gameplay or whatever else you’re doing on your SHIELD. One of the most exciting features with SHIELD is the ability to stream your gameplay via Twitch right out of the box. The Broadcast option fires up the Twitch application, so all of your adoring fans can see just how bad you are at Ultimate Chicken Horse. You’ll need to create a Twitch account in order to use this feature. Head over to Settings and then choose Storage & reset. Once there, choose Network Storage. There you’ll see Available Network Storage. From here, simply select your NAS device and then Connect as a registered user. Once you enter the username and password, you should be good to go. The mounted network will now appear in the Network Storage in the list. If you have a large library of photos and videos, this is the easiest way to play them on your SHIELD. Or take advantage of SHIELD’s built in Plex Media Server, and share them to your phone, tablet, or PC anywhere in the world. You may want to transfer data to and from your SHIELD TV, especially if you have connected a large USB hard drive full of your music or videos. 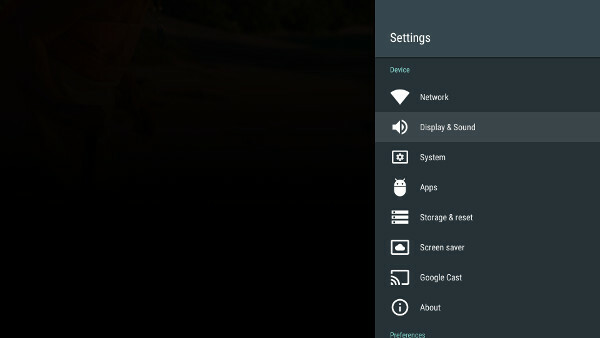 The easiest way to do this is to connect to your SHIELD using a PC over your local network. 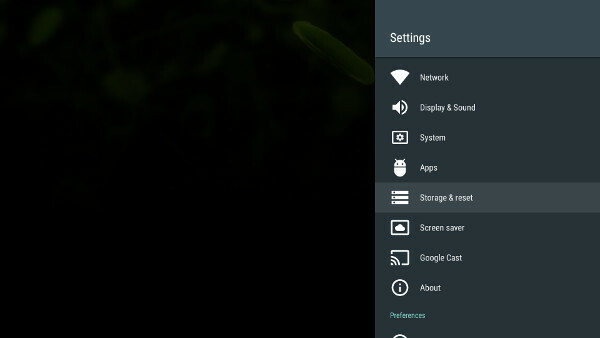 To enable this feature, go to your SHIELD’s settings, under Storage & reset, and enable the “Over local network” switch. From here, you will see your SHIELD’s IP address, username, and password. Go to your PC’s file explorer and type in your SHIELD’s IP address, the username, and the password.You’ll have full access to your SHIELD’s adopted and attached storage*. For more information on this feature, follow this link. *You may read network-mounted storage contents using this method, but you cannot delete, modify, or save content from your PC. 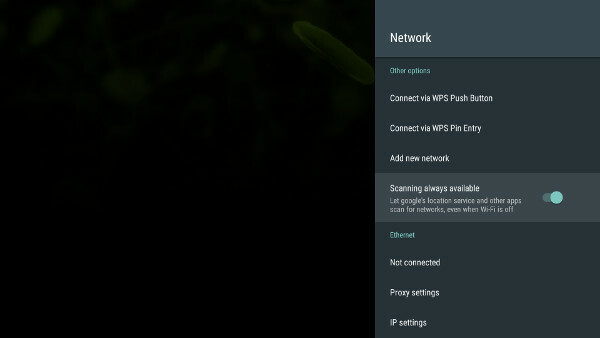 Starting with Jellybean, Android added a feature where your SHIELD is ALWAYS scanning for new Wi-Fi signals. Although this improves location information, not everyone needs or wants this. To disable constant Wi-Fi scanning, go to Settings and Network. From there simply scroll down to Scanning always available and uncheck it. When it comes entering in information like email addresses and passwords, knowing some SHIELD controller keyboard tricks can save you tons of time. When inputting info in the virtual keyboard, pressing down the right thumbstick toggles caps lock on / off. Pressing down the left thumbstick brings up the special characters. The left and right bumpers move the cursor, and the X button deletes.